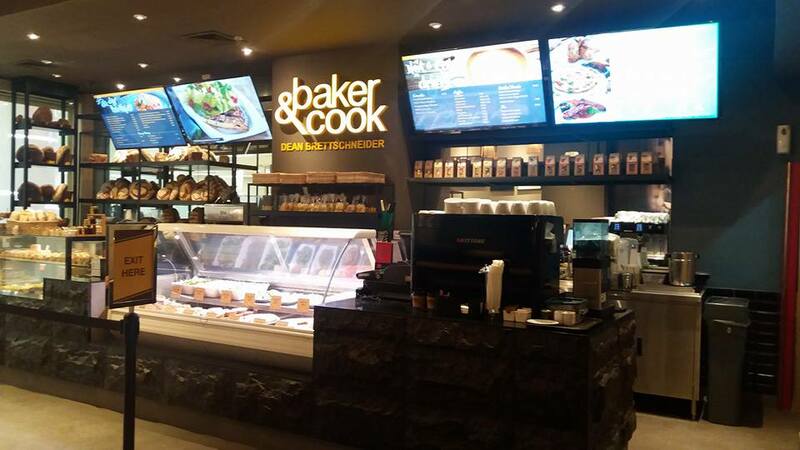 It was my first time to go to Baker & Cook and I was amazed that they offer a really good continental breakfast to get me on my day. They had a big space which they share with Plank Sourdough Pizza. If you like breakfast that has eggs, cheese, meat, croissants, pastries, pancakes, fruit juice, good coffee, and a variety of bread and rolls options like I do, then Baker and Cook is the place to go. 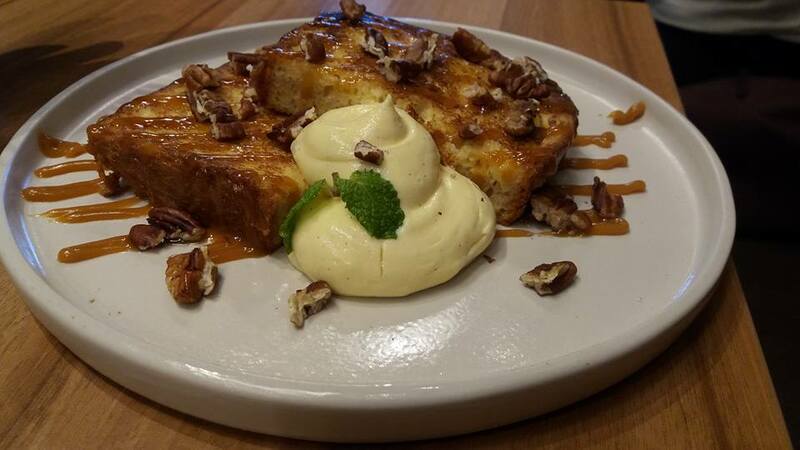 French Toast with Toasted Pecan (P 290) is perfect in a candy box or on the dessert table! The gourmet twist on this French Toast reminds me of salted caramel and pecans sundaes! Simply delightful! 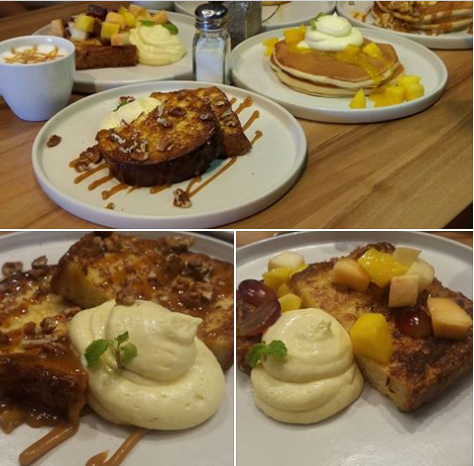 French Toast with Tropical Fruit (P 290) is straight up simple and sweet but really delicious and healthy. What more can I ask for? I also loaded up on their gourmet pancakes! 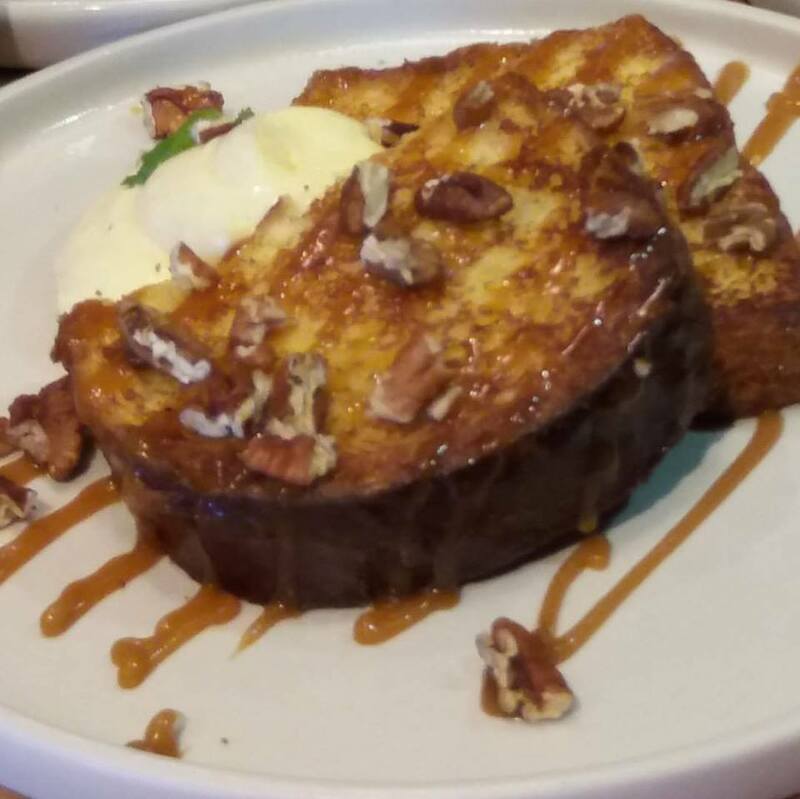 Their Banana- Pecan Pancakes are dense and moist. 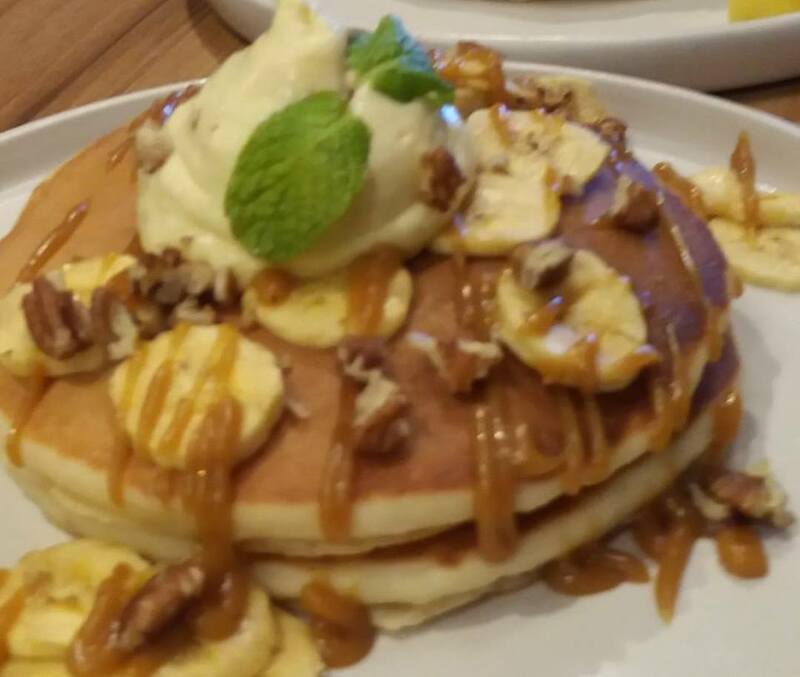 Two hearty pancakes are topped with fresh banana slices and glazed pecans, are simply irresistible! The Eggs Benedict were tops for me! My breakfast experience was made extra-special when they served these up! 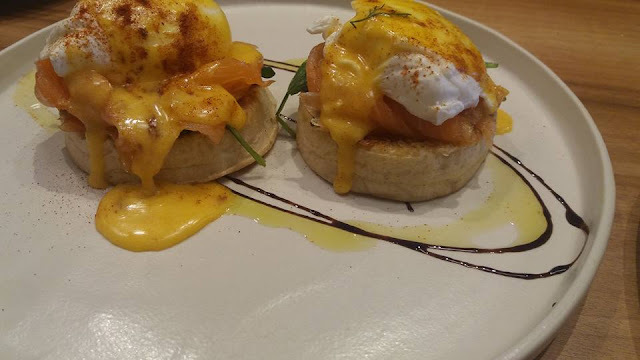 The Salmon Benedict had spinach and thinly-sliced salmon over buttered English muffins. I love it! And the Pancetta Benedict (with Italian bacon) definitely hit the spot! 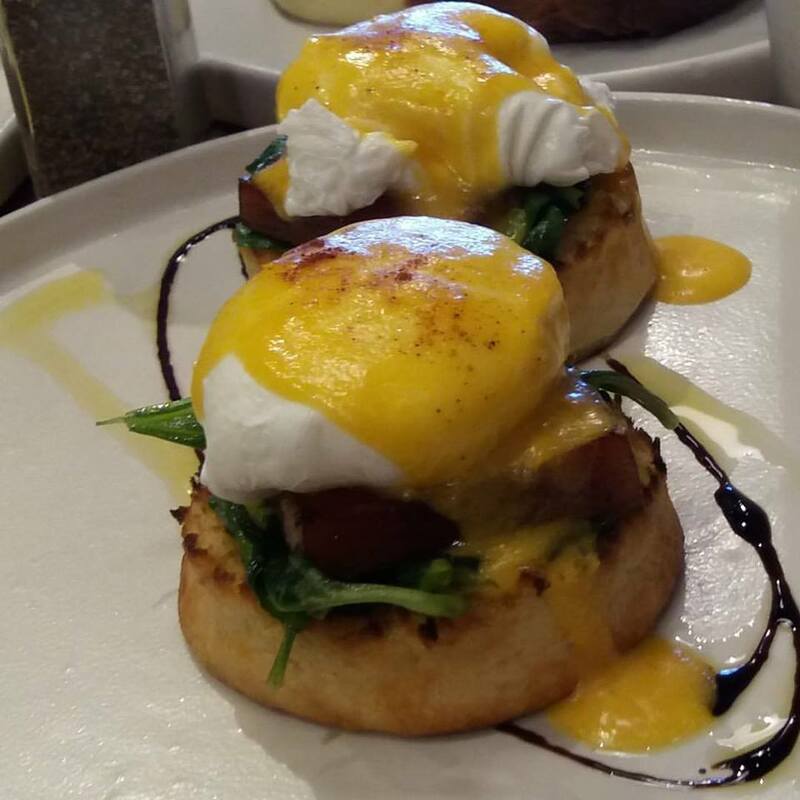 Poached eggs,over English muffins topped with Italian-style bacon was savory! 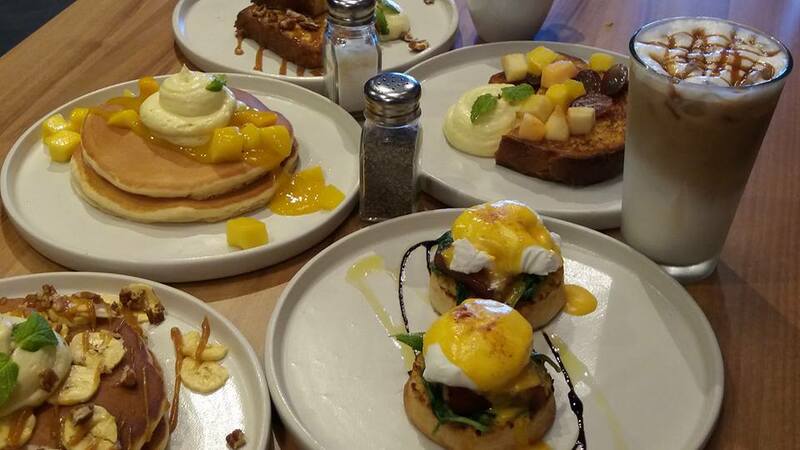 These Eggs Benedict are a pleasure to dig into! Its oozing with golden yolks are marvelous! 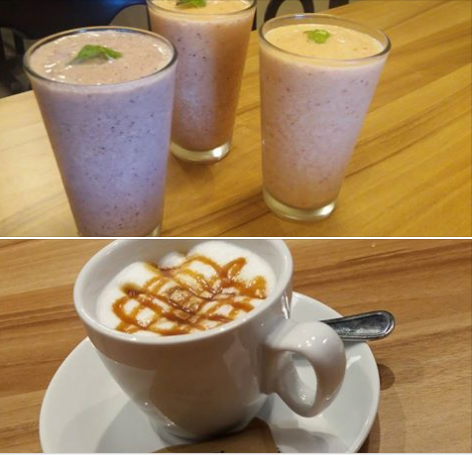 Juice lovers will love the Very Berry Smoothie, Raspberry Sage Smoothie, and Vitamin Burst Smoothie. I had Raspberry Sage Smoothie and it's creamy one with subtle sweetness to give a great extra boost needed for the day! Caramel Macchiato and Cafe Latte is a must try for coffee drinkers. Baker and Cook open early for breakfast.. Do indulge and let it take you on dreamy continental breakfast. I saw this resto when we ate at Paradise Dynasty. 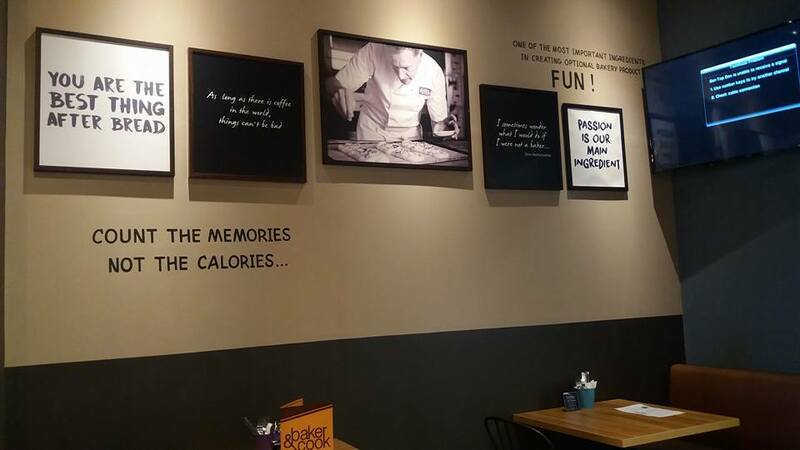 Lots of interesting places to try at S Maison. I love that they are open for breakfast, nice place to eat after a run in MOA.